It’s just about the time of the year again wherein we get to refresh our homes, and there’s just no better way to spruce up our home than giving its interiors a well-deserved makeover using a new coat of paint. 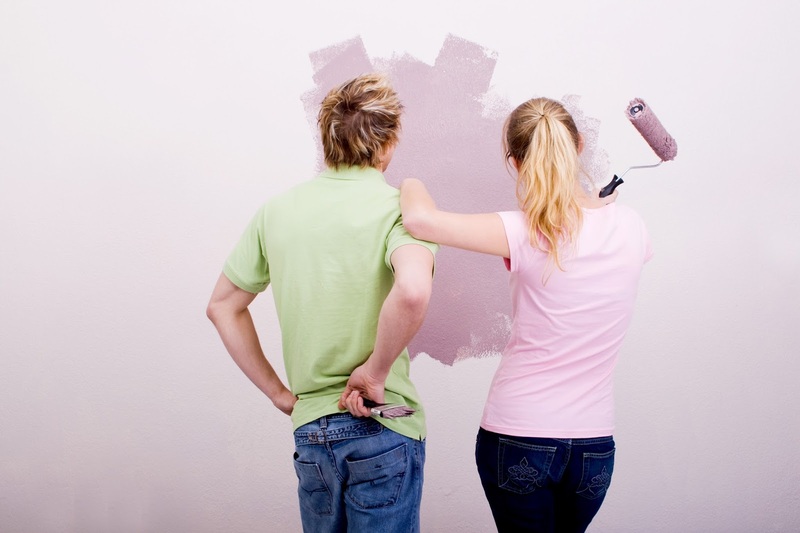 So before you go ahead and dump this idea, we swear that this time, your home painting project can be done with ease – even without the help of your Singapore painting services – and fun with this stress-free painting tips. Go ahead and scroll through this tips and start rolling out your sleeves for some painting action. Don’t let the search for the right paint color stress you out. You might not know it, but there are actually plenty of tools that can help you choose the right color for your space. Try out tools such as Chip It, which allows you to pull out a palette from any inspirational images that you can find. There are also online apps that lets you add some color to the photo of your space so you can picture out the result even before you start out your house painting project. Aside from these tools, you can consult a painter or get some painting services to help you with your paint color. Testing out your paint color in your room beforehand is one wise move. You don’t want to put in all the work in painting the walls only to realize that it doesn’t look good right? So before you get all excited and buy gallons of paints, research all about painting services in singapore and settle on buying sample pots of the shades of the color that you’re considering to paint on your walls first. You can also use the variations in lighting in the room, or the times of the day and even the season as your guide, since it can have an effect on how the color will look in the wall. If you don’t want to stain your wall, we advise that you use an adhesive sample board to test your chosen colors on. It may sound time-consuming, but preparing your room will actually make your home painting job a lot easier and stress-free. If you don’t plan on pulling out your furnishings while the project is in progress you can use a painter’s table to protect moldings and fixtures, and clean drop cloths to cover your floors and furniture to avoid damages that can be caused by excess paint that dripped off from your brush or roller. In starting your painting project, you probably might just want to randomly slap paint on the walls, but the drips, from this way of painting, will just add on to your work later. So we suggest that you do things in an orderly manner, just like how those in the industry of painting services in Singapore do it. 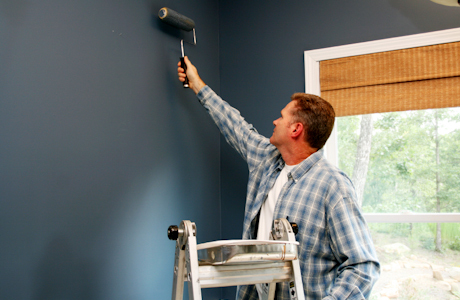 The proper order to paint your room would be starting from the ceiling, followed by the walls, and down to the floor. Following this will definitely save you from being stressed out and having the need to clean up paint drips later on. This might sound like a no-brainer but arranging all your tools – brushes, paint cans, rags and rollers – in one area will make it easier for you to do some clean-ups afterwards. Most Singapore painters also advise that you do this if you’re planning on doing a DIY house painting project, since having your materials scattered around might lead to accidental messes, thus, leaving you more work to do later. Before you decide to head out to your local paint store, it’s advisable that you take accurate measurements first. Measure your room’s width, height, and length so that the salesperson will be able to help you determine the right amount of paint that you might need. Running out of paint when you’re halfway through is not just annoying, but might also force you to have the walls repainted due to the slight variation in color of the first and second batch of paint colors. DIY painting projects can be easy and fun with the help of these tips. Now you will not just be able to spruce up your home interiors the way you want to, but also produce and output that can be at par with the ones produced by those in the painting services industry.